The world famous Mojito cocktail drink. Cool, refreshing and sweet. There’s not much more you can want from a cocktail on a hot summer’s day. 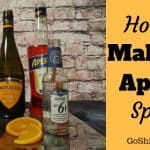 It’s often said that it’s a bartender’s least favorite drink to make, as it’s hard work, difficult to get right and makes a mess. Well if you follow the instructions below you’ll find a Mojito isn’t as hard to make as some will have you believe, and you’ll often have a better tasting beverage by doing less work. 1. 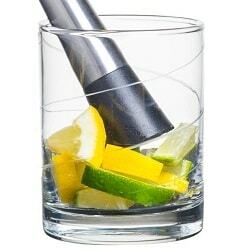 Add lime wedges and sugar to the glass. 2. Add 8 – 10 mint leaves, try picking the smaller leafs as they are younger and have a greater smell. Before adding the leafs it’s always recommended to give the mint a slap, as this releases the flavors. 3. Muddle the lime and mint. 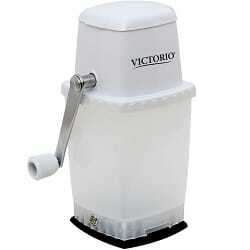 But only do this mildly, 5 – 10 crushes as any more and the bitter flavors of the lime and mint will come through. 4. Add crushed ice until the glass is almost full. 6. Use your spoon to stir, but not the standard circular motion. Use the spoon to drag up the mint and lime. 7. Top the glass with crushed ice and add a straw. What is known is that the Mojito is a Cuban cocktail, but who invented it is unknown. Maybe in light of their political framework we should give all Cubans a small portion of the credits. Sir Francis Drake is the name most commonly linked to the invention of an early version of the Mojito. His drink called El Draque was made from Aguadiente (a cheap form of rum), lime, mint and sugar. This was way back in the 1500’s when Drake landed in Havana with the goal of plundering the city of all its gold. But it’s more likely the Mojito cocktail just evolved naturally. In a country with plenty of sugar cane, citrus fruits and mint it’s only normal that all alcoholic drinks will be mixed with these ingredients. 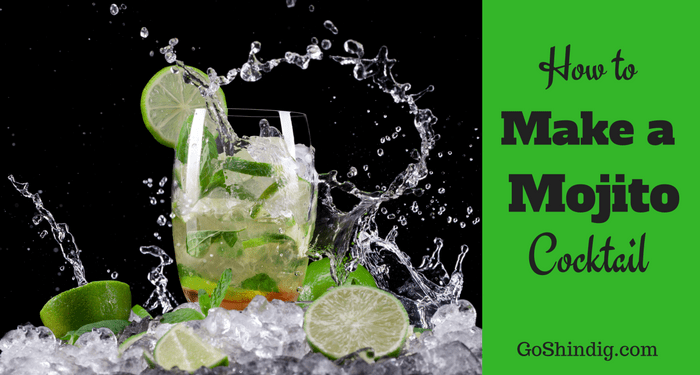 And with Rum being a typical Cuban drink, with famous brands such as Bacardi, Havana Club and Caribbean Club, it doesn’t take a great leap of the imagination to think a Mojito was probably a drink that just happened naturally. It’s fair to say the bar and the Mojito have benefited from this story but whether it’s true is another matter. Author Philip Greene believes this story is nothing more than great marketing from the bar. In his book “To have and have another” Greene debunks many misconceptions about Hemingway, and the Mojito story is one of them. 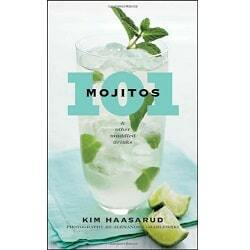 But thankfully for everyone that loves a Mojito this story helped the drink spread the world. The easiest non-alcoholic mojito (mojito mocktail, virgin mojito or nojito) is to make the same drink minus the rum. This is what most bars and restaurants will serve you (often charging the same price as the alcoholic mojito). Another method, one that gets a closer taste, is to replace the rum with a little bit of apple juice and a splash of elderflower cordial. Dark Mojito, Spiced mojito and a Dirty mojito – to create one of these just change the white rum to a dark, spiced or gold rum respectively.